This razor is okay only saying because of price. Started using these high quality razors from OVVI essentials, they're cheaper, work just as good, and freee delivery! 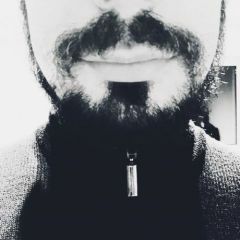 Lack of aftershave Irritation Good Value Reduced number of skin passagges Expensive disposable blades I started using Gillette Fusion ProGlide Manual about ten days ago, thanks to a massive testing project carried on by Procter&Gamble. After around ten shaves I can firmly say that it's the best manual razor I've ever used (still I've always used Gillette Manual razors). The most clear gain concerns the number of effective shaves without any performance breakedown with one single head. At the tenth shave there's still no evidence of skin irritation and green smoothing bar fade. I guess I will be able to use it for five further shaves. The recharging heads are a bit expensive somehow I '˜m sure they do worth the purchase. Most comfortable shave I have experienced Nice Design Handy features Quite expensive - but worth it! I have used many razors in my time and this is the one that I always come back to! It gives the closest, most comfortable shave. I am very prone to developing razor burn, however this one keeps it to a bare minimum. It's a nice and sleek design, has many great features such as single edging blade - perfect for sideburns! -The shave is VERY close & smooth -Non-irritating -Hairs don't get stuck on razor when washing -Single blade on top of the head of razor is useful to line sideburns & shave mustache area -Blades are pretty expensive I always thought those ProGlide commercials were bull but I wasn't satisfied when shaving with the Mach3 and SensorExcel. 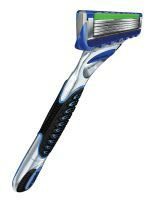 I did once use the old Gillette Fusion for a month but I remember getting cuts b/c I didn't shave as properly (I used to always shave against the grain and shave the same spot repeatedly). I searched reviews of this product and most were positive so I gave it a shot. What a close & smooth shave! I look super clean I guess the blades are as close as they say in the commercials. I shave every other day & the green strip doesn't turn mostly white until a week. Most strips I used before turned white much sooner. Don't be intimidated with a 5 razor blade especially if you grow facial hair more quickly than the average guy! Keep following the proper techniques of shaving & let the ProGlide do the rest of the easy work.